The Bay Area's architects of the mid-century created the unique—yet met climatic conditions, appealed to clients, and were good neighbors in the landscape. Pictured above: Wilkinson house of Orinda by architect Roger Lee. "More good architecture is found in California than anywhere else in the United States," New York's Museum of Modern Art stated in an exhibition catalog in 1944. The reference, surprisingly enough, was not to something in Los Angeles, but to a home designed by a young Bay Area architect in the farming burg of Modesto. 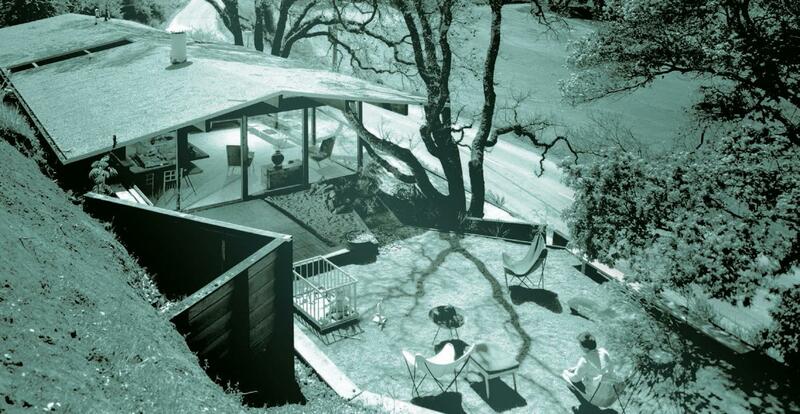 The Bay Area may have gotten its start as a modernist Mecca later than Southern California. But by the time World War II hit, it was emerging. The fame attached to such houses as the one in Modesto by John Funk attracted other modern architects to the area as the war ended. What emerged was a modern variant of the 'Bay Region Style,' so named in 1947 by architectural critic Lewis Mumford. The term referred to the woodsy regional style developed half a century before by such Arts & Crafts architects as Bernard Maybeck. The history of modern architecture was quite different in Southern California than it was up North. 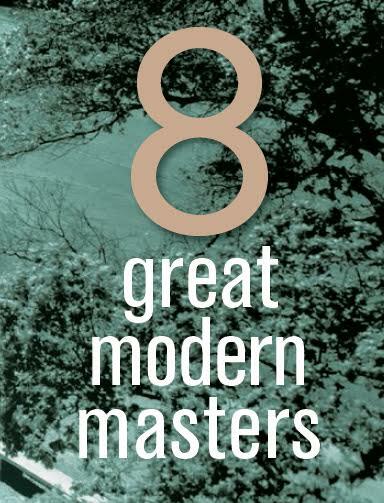 In the South, to a degree, modernism was a European import. Up north it was largely homegrown. In Southern California, several important architects from Europe arrived in the 'teens and 1920s, including Richard Neutra, R.M. Schindler, Kem Weber, and J.R. Davidson. Frank Lloyd Wright too was active in Southern before Northern California, with significant Los Angeles homes from the early 1920s. In the Bay Area, by contrast, there was almost no 'modern' architecture until the mid-1930s—if you ignore the quasi-modern ranches of William Wurster. A handful of European architects did pass through the Bay Area but did not establish the presence of European designers in Los Angeles. One important European modernist who worked in San Francisco was Eric Mendelsohn, who arrived in 1941. Neutra came up from Los Angeles to do a few projects starting at the end of the 1930s. That's not to say that Bay Area designers were not influenced by developments in Europe or elsewhere in the United States. A number of Bay Area architects trained in schools inspired by the European Bauhaus tradition. And some ignored the Bay Tradition entirely and opted for the European-influenced International Style. Houses designed by Bay Area mid-century modernists may have been rooted in Frank Lloyd Wright, the Europeans, and the earlier Bay Tradition architects, and inspired by Asian wooden houses and California ranch houses and barns. But what the modern architects produced from all this was something new. They adapted their influences to meet climatic conditions, to appeal to clients, and to be good neighbors in the landscape. It was in this tradition that Joe Eichler came of age. He was not the originator of the Bay Region style, nor were his architects. But they were the ones who turned it into mass housing for the middle class. Here are eight important architects who gave Northern California modernism its characteristic look and meaning.